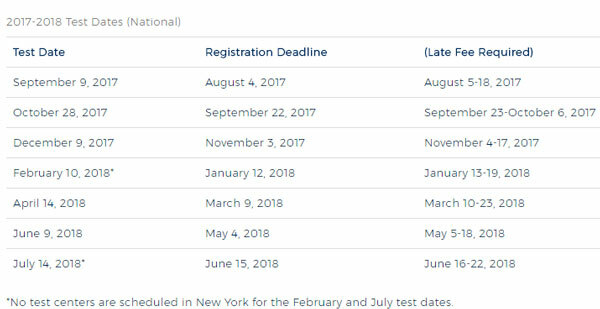 Looking for ACT test dates for the 2017-2018 school year? Check out our complete schedule with registration deadlines. Plus a bonus – free official ACT Practice Test and answer key. Prepare for the ACT online by taking this free sample practice test. Click to find more available official ACT practice tests for free. If you need a tutor here is a list of the best ACT prep tutors. Our ACT prep tutors are trained to approach each student’s individual needs, providing a customized tutoring program that is tailored to yield the best results! May has graduated from the Kyiv National University of Culture and Arts. She holds a master’s degree in business administration. May worked as a teacher for MCCA for several years. She taught students management, marketing, statistics and other business-related subjects. In her free time May enjoys reading, traveling, sports, meeting people, midnight strolls… Always learning. This entry was posted in About Us and tagged 2017-2018 ACT Test Dates, ACT practice tests for free, ACT prep tutors, Printable PDF Practice Test, tutoring.